It’s been a week now, and I’m still in Florida! We had a great time in Daytona during the Rolex 24 weekend. I stayed busy with Mazda’s media guests, giving them insight into what happens behind the scenes with the Mazda Motorsports race team and giving them hot laps around the track. 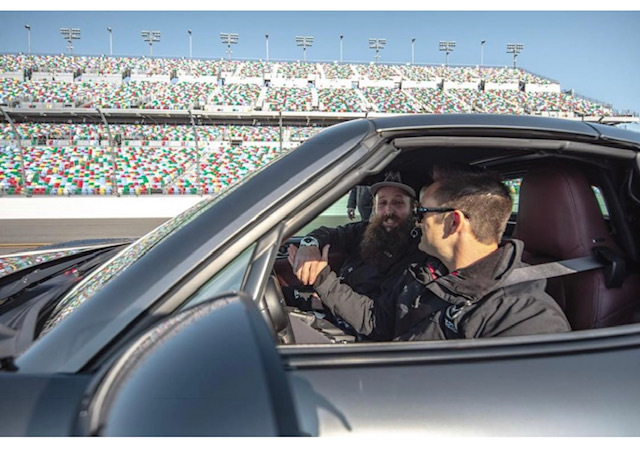 Media members really enjoyed their hot lap around Daytona. Getting on the race track really gives the media an unparalleled perspective. 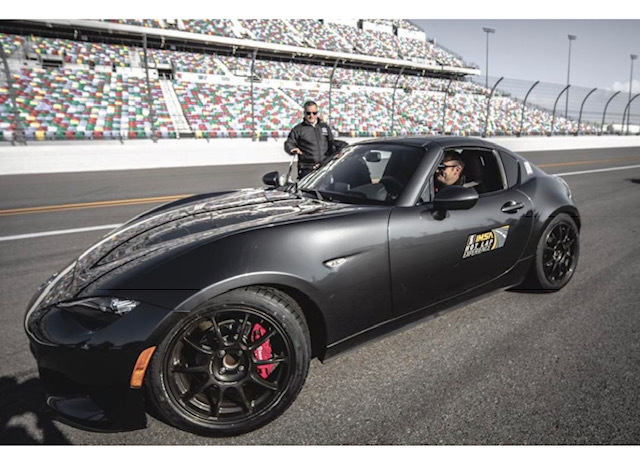 They experience the high banks of Daytona and all of the facets of a lap around that circuit. We also brought them up to the spotter’s stand so they could not only see what a spotter does during a race, but also so they could see the incredible view! You can look down on the entire circuit from the spotter’s stand. Mazda also had their Driving Experience program just outside the circuit, allowing fans and enthusiasts to drive any Mazda model of their choice. This was a popular activity that a lot of people took advantage of throughout the event. After Daytona, I stayed down in Florida where it’s warm! I am now in Sebring, coaching some good friends of mine who are testing in preparation for their first racing event of the season. The turnout here has been impressive, with a lot of racers and teams taking advantage of this nice weather to get prepped for the year ahead. It’s been a really productive week for my coaching clients as we set up their cars and drive reference laps for data. They continue to gain time on the track. I’ll have updates on how they all do next week. In the meantime, stay warm out there!